Unhealthy eating habits, stressful lifestyle, prolonged sitting jobs, or lack of physical movements, whatever is the reason, Belly fat can be dangerous and discomforting. 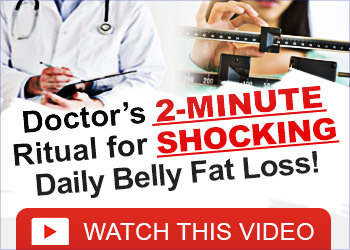 From not facing difficulty in physical movements like bending or running to not finding the right size of clothes and a lot of health issue, belly fat can wreak havoc on the overall being of a person. The more fat your tummy holds, the higher is the level of risk. There are no shortcuts to cut all the excess flab. However, proper diet combined with a daily dose of yoga can amazingly help you get rid of it . Tadasana or Mountain Pose: Stand with spine erect and feet together. Keep your hands on the sides, palms facing the body. Keep the shoulders relaxed and pull your abdomen in and out. Inhaling deeply, elongate the spine and lift the arms above your head, palms facing each other. Stretch the whole body as much as you can. Try lifting the ankles and coming on your toes. Look at the ceiling. Breathe normally and stay in this posture for 20-30 seconds. Uttanasana or Standing Forward Bend Pose: Stand straight with feet hip-distance apart and arms resting on either side of the body. Inhale, lift your hands overhead. Now, exhale and lean forward completely. Let your head and chest touch the thighs and try to touch the floor, besides the feet. Keep your thighs straight or bend the knee in order to avoid any strain. Hold the breath, pull your tummy in and stay in the posture for 60-90 seconds. Paschimottanasana or Seated Forward Bend Pose: Sit comfortably in any position like Sukhasana or Padmasana. Keep your spine erect and stretch your legs out in front of you. Let your feet pointed towards the ceiling. Now, raise your hand above the head. Bend forward from the thighs and bring down the hands to touch your toes with the fingertips. Flex the feet firmly. Let your head rest on the knees and pull the toes backwards with fingers to feel the stretch in the hamstrings. Inhale and hold the pose for 60-90 seconds, exhale. Pavanmuktasana or Wind-releasing Pose: Lie down on the back with hands resting beside the body and heels touching each other. Now, bend the knees and bring them to the chest while exhaling. Lift your head slightly to let your chin touch the knees. Clasp the hand underneath the knee to hold them in place. Hold the position for 60-90 seconds while breathing normally. Bhujangasana or Cobra Pose: Lie down on your abdomen. Keep your feet together with toes touching the ground. Now, keep your hands on either side of the body beneath the shoulders, palms facing down. Inhale, lift your upper body from the waist off the floor while straightening your arms. Look at the ceiling and hold the posture for a few breaths. Boat Pose or Naukasana: Lie down on the back with feet together and hands resting beside the body. Inhale deeply and while exhaling, raise your head, chest, and legs off the floor. Stretch your arms towards your feet. Keep your eyes, fingers and toes in a line. Hold this pose for 30-60 seconds in beginning and keep on increasing the slot gradually. Drop those extra pounds with yoga on a regular basis and achieve a flat belly. Having a flabby tummy not only can cause you embarrassment but multifarious fatal diseases too. Read on to know about the ways to use yoga to get rid of that extra flab.